Image: Book covers from Facing Unpleasant Facts and All Art Is Propaganda, as discussed in this article. George Orwell's essays -- so urgently relevant in these times -- convey the political and social views he would later express in his fiction. The word Fascism has now no meaning except in so far as it signifies "something not desirable." 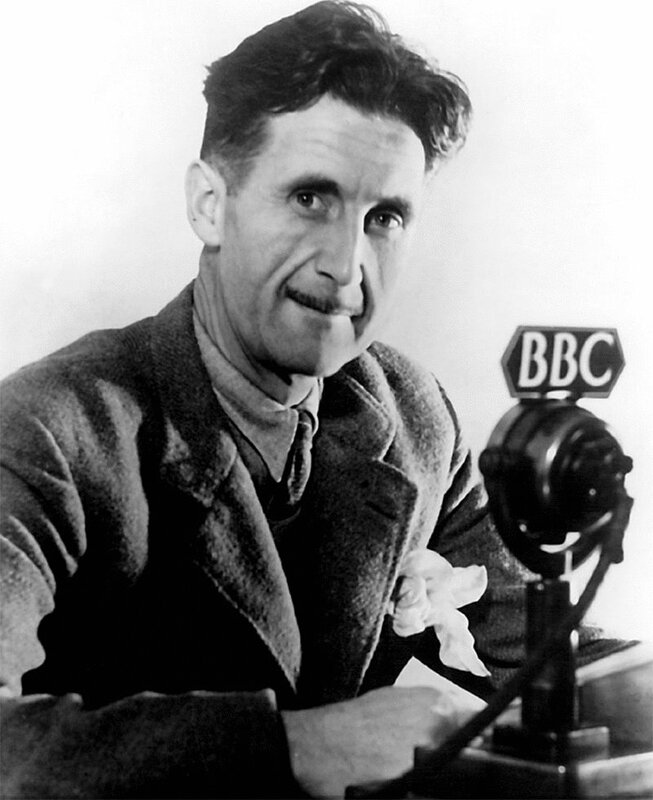 English author George Orwell (Eric Arthur Blair, 1903 – 1950) is most widely known for his novels. Animal Farm (1945) and 1984 (1949) comprise the twin pillars of his legacy as a writer of dystopian fiction, a genre he was instrumental in developing. Phrases from 1984 have become common ways to describe totalitarianism: Big Brother, doublethink, the Thought Police. Though he described himself as an advocate of democratic socialism, so far-reaching is Orwell's influence and esteem that pundits of all political stripes have effectively claimed he espoused views at least partly in line with their own. In these two volumes of essays, the reader is introduced to Orwell's thoughts on a wide range of topics. Perhaps more than any other writer of his time, Orwell's work is characterized by both an impassioned advocacy of free speech and warnings against any leanings toward totalitarianism. For Orwell, the latter commonly meant Stalinism and its apologists in the West. While he strongly condemned the views of those he considered advocates of tyranny, never did he call for their silencing. In this crucial sense, Orwell "walked the talk". In doing so, he exemplifies a principle perhaps best expressed by Noam Chomsky when he said "If we don't believe in freedom of expression for people we despise, we don't believe in it at all." It's a principle sadly lost on those who, in our time, seek to "de-platform" those they disagree with rather than engage in open debate, as well as those in authority who either enforce or acquiesce in such demands. Thus, Orwell's essays (as well as his fiction) have at least as much relevance now as they did about 75 years ago, though I fear that those who most need to read these works probably won't. While his novels stand as a lasting and brilliant contribution to 20th century literature, the essay was the form by which Orwell honed his fictionally expressed ideas. As compiler George Packer states in the introduction to the narrative essay volume, "Orwell's writing began with essays, and his essays began with experience." He cites the example of Burmese Days (1934), Orwell's novel of colonial Burma; it was preceded by his essay "A Hanging" (1931), an account of an execution in Burma which Orwell, at the time a member of the Indian Imperial Police, was required to attend. His experience in Burma was to contribute to his disillusionment and antipathy toward imperialism, an attitude evident in both works. Thus, for those whose introduction to Orwell has been through his novels, some of the essays may feel a bit like nonfictional prequels, and are all the more fascinating for that. The two volumes are divided broadly into narrative essays (Facing Unpleasant Facts, Compiled by George Packer. New York: Mariner Books, 2009) and critical essays (All Art Is Propaganda, Compiled by George Packer. New York: Mariner Books, 2009). It's quite an eclectic mix. Among the narrative essays: Orwell deliberately getting arrested for public drunkenness (apparently so he could write about it); memories of serving with anti-fascist forces in the Spanish Civil War; a description of the ideal pub. Among the critical essays: an in-depth analysis of boys' weekly magazines (it sounds boring, but it's not); the question of whether socialists can be happy; the trials and tribulations of being an impoverished book reviewer. In the narrative essay volume, of particular interest to enthusiasts of World War II history will be Orwell's "War-time Diary" of his life in London, covering May to December 1940. Britain was regularly under attack from German air raids, France was under Nazi occupation, and America had not yet entered the war. As philosopher Nassim Nicholas Taleb has noted about William L. Shirer's Berlin Diary (1941), we can get a special insight into history by reading accounts that were written not in hindsight, but as events were unfolding. Perhaps the most fascinating of the critical essays are those describing Orwell's views of other artists, mainly his fellow authors. He expresses a brutally honest combination of tremendous praise and scathing criticism of Charles Dickens, Henry Miller, Rudyard Kipling, H.G. Wells, and Jonathan Swift; a devastating critique of Leo Tolstoy's opinions on Shakespeare; and a mixture of supreme artistic praise and absolute moral condemnation of Salvador Dali. He assesses Edgar Allan Poe's state of mind as "at best a wild romanticism and at worst not far from being insane in the literal clinical sense." In his critique of T.S. Eliot, Orwell suggests that Eliot's conversion to Anglicanism negatively affected his work, arguing that the writings of the orthodoxly religious "usually show the same cramped, blinkered outlook as books by orthodox Stalinists or others who are mentally unfree." The man pulls no punches. It's safe to assume that among Orwell's fictional works, 1984 in particular was an expression of insights he had first conveyed in essay form. In "The Prevention of Literature" (1946), he argues that those he terms "friends of totalitarianism" tend to insist that "absolute truth is not attainable" and that "a big lie is no worse than a little lie." Orwell then posits that in order to continue existing, a totalitarian society would require "a schizophrenic system of thought" by which facts could be selectively "disregarded by the politician, the historian, and the sociologist." Here (as in several of the other essays) we perceive echoes of doublethink, the Ministry of Truth, and the memory hole from1984. It seems no accident that the novel's protagonist, Winston Smith, is a ministry apparatchik whose primary job is to continually rewrite history to conform to whatever version the government currently requires. For Orwell, then, to deny the existence of objective reality is to facilitate oppression. As Packer states in his introduction to the narrative essay volume, "It would be perverse to assume that Orwell subscribed to the postmodern literary doctrine of the constructedness of reality and the unknowability of truth. A fear that facts could materialize or vanish on command lay at the heart of the totalitarian nightmare that preoccupied the last decade of his life." Orwell doesn't always hit the mark, as it were. In "England Your England" (1941), he's critical of Winston Churchill's alleged inability to "grasp that only Socialist nations can fight effectively." A dubious assertion at best, regardless of where one stands on socialism. In "In Front of Your Nose" (1946), he asserts the possibility that by 2016 Britain's population "will amount to about eleven millions, over half of whom will be Old Age Pensioners." This obviously didn't happen, though of course prognostication is always a tricky business which is best avoided if possible. In "Politics and the English Language" (1945), Orwell argues that political terms like fascism, democracy, socialism, etc. often have no agreed-upon definitions and are thus used in a "consciously dishonest way" by politicians or ideologues. A country that is praised will be called "democratic", for example, regardless of what its government does, thus giving maximum latitude for those doing the praising. In Orwell's view, they "fear they might have to stop using the word if it were tied down to any one meaning." In the course of condemning racism in the West (including the US South's Jim Crow laws) in "As I Please, 2" (1943), Orwell also notes with dismay that there's little effort on the part of journalists to learn which terms for race are resented or not (e.g., "Chinaman" vs. "Chinese"). This may be interpreted by some as a sort of incipient admonition to PC-type language policing. However, Orwell is essentially making an appeal not for coerced speech but for human decency, noting that the English "do not like being called 'Limeys' or 'Britishers.'" When I sit down to write a book, I do not say to myself, "I am going to produce a work of art." I write it because there is some lie that I want to expose, some fact to which I want to draw attention, and my initial concern is to get a hearing. This, I would say, is the key element underlying so much of Orwell's work. If attempting to convey something true about the human condition is an essential element of art, then Orwell was among other things an artist, whatever objections he might have posed to such an assessment. 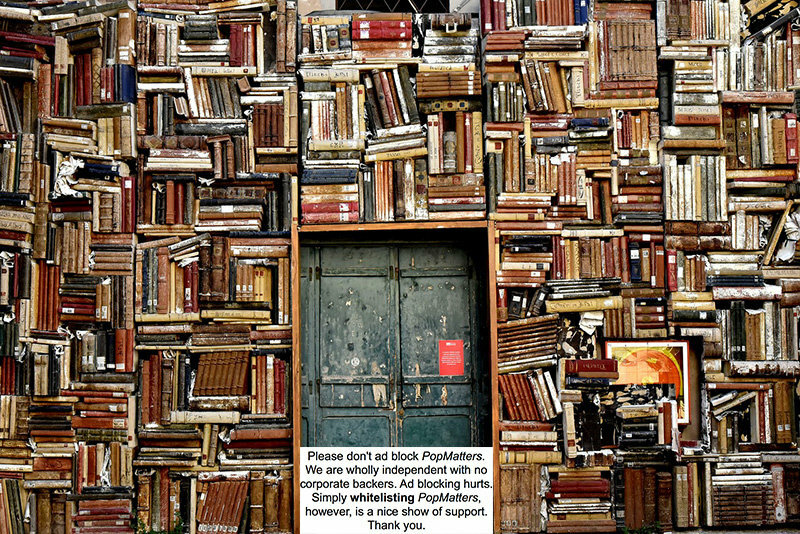 "...a sort of voluntary censorship ('Ought I to say this? Is it pro-Fascist?') was at work in nearly everyone's mind… Good novels are written not by orthodoxy-sniffers, nor by people who are conscience-stricken by their own unorthodoxy. Good novels are written by people who are not frightened." This illustrates very well the totalitarian tendency which is implicit in the anarchist or pacifist vision of Society. In a Society in which there is no law, and in theory no compulsion, the only arbiter of behaviour is public opinion. But public opinion, because of the tremendous urge to conformity in gregarious animals, is less tolerant than any system of law. When human beings are governed by "thou shalt not," the individual can practise a certain amount of eccentricity: when they are supposedly governed by "love" and "reason," he is under continuous pressure to make him behave and think in exactly the same way as everyone else. Upon reading the above passage, I was immediately reminded of the conformity pressures and public shaming that are increasingly common on today's social media networks; if Orwell were alive today, would he perhaps consider such tendencies to be "totalitarianism lite?" He sums up the attitude represented by the Houyhnhnms with "In other words, we know everything already, so why should dissident opinions be tolerated?" Yet despite this condemnation of Swift's apparent political and social views, Orwell goes on to say that Gulliver's Travels is one of his favorite books, noting that "This raises the question: what is the relationship between agreement with a writer's opinion, and enjoyment of his work?" It's always possible that a creator's work may be mercilessly trashed by critics, supposedly on the basis of artistic or academic demerit, but in fact solely on ideological grounds. Thus, Orwell's admission shows both intellectual honesty and conveys something of the larger picture we sorely need to look at. Orwell was, of all 20 th century writers, perhaps the most passionately committed advocate of "democratic socialism, as I understand it" (his words). He literally risked his life fighting against fascism in the Spanish Civil War and nearly died after getting shot in the throat by a sniper. He survived the London Blitz. He openly spoke out against Stalinism when, by his own account, it was trendy to spout apologia for it in Western literary circles. It is no exaggeration to say that he directly and physically experienced the effects of totalitarian ideology, and he never sought a "safe space" in the process; that is, he never sought to escape from exposure to ideas he considered morally reprehensible. So it should come as no surprise that while he considered Gulliver's Travels to be ideologically abhorrent, he also said he loved it so much that it was one of six books he would keep if all others in the world were destroyed. If Orwell could do this, then perhaps the rest of us can resist the urge to scream in people's faces, "de-platform" them, physically prevent them from publicly speaking, or seek to destroy their careers simply for expressing views we don't like. Can we not – as Orwell was so obviously willing to do – agree to disagree? What might he think, I wonder, of those who argue today that an opinion is itself a form of violence which must be met with pepper spray or a truncheon instead of a better argument? At the very least, these two volumes offer a fascinating insight into the views of one of the 20 th century's greatest authors. At best, they may inspire us – whether in the realm of the arts or simply in everyday life – to be neither "orthodoxy-sniffers" nor "conscience-stricken by our own unorthodoxy."